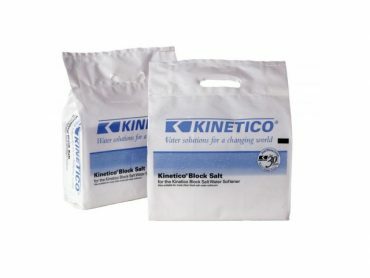 An alternative, affordable and simple solution for cleaner water in your kitchen. There’s nothing quite like a glass of great tasting water. Great water makes everything else taste better including your favourite drinks and recipes. Our Domestic Drinking Water Filters make it easier than ever to get quality water on tap 24 hours a day every day. 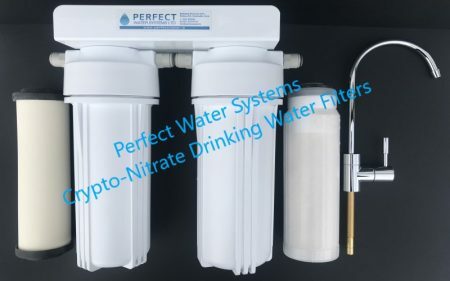 This is one of our most popular systems, which combines both a carbon filtration system, housed within a heavy wall ceramic filter, which filters down to 1 Micron. This Slim fitting filter requires very little space underneath your kitchen sink and comes complete with its own separate slimline drinking water tap. All Parasites Cysts, including Cryptosporidium. Common metals, such as lead. Chemicals, such as Chlorine, Pesticides and Solvents. 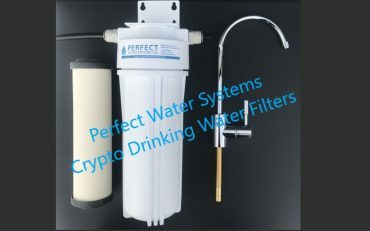 The PWS Crypto Drinking Water Filter is a slim fitting filter that requires very little space underneath your kitchen sink and comes complete with its own separate slimline drinking water tap. For a simple cost-effective solution, we can install drinking water filters to treat, reduce or remove various types of contaminants from the drinking water in your home. The drinking water filter units sit under your sink for ease of maintenance. 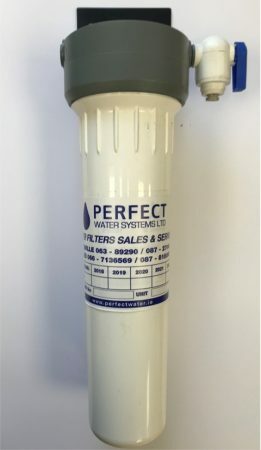 Depending on the the type of contamination in your water supply, these filtration systems can solve problems such as eliminating the taste and odour of chlorine from your drinking water. They can also eliminate heavy metals such as lead, plus a wide range of organic compounds and cysts including cryptosporidium. 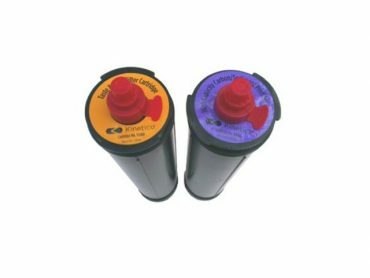 Optionally, these units can be fitted with gauges or monitors so you’ll always be aware of when the cartridge needs changing and confident that you’ll always be drinking great-tasting quality water….and nothing else. 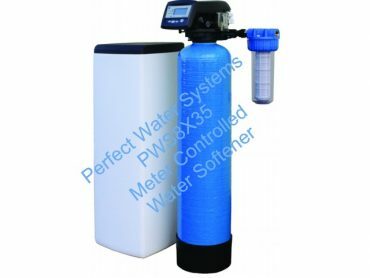 The PWS Scale Reducing Drinking Water Filter provides the most practical and convenient solution to slow, clumsy filter jugs (such as the Aqua Optima, Brita Maxtra etc). Calcium and magnesium in your water supply can cause limescale build up in your kettle and leave scum floating in your tea and coffee. Using this filter will significantly reduce all of these elements leaving you with refreshing, great tasting water for drinking, cooking and food preparation. In addition to the standard chrome slimline tap provided with every filter, Perfect Water Systems can supply and fit a range of Slimline Drinking Water Taps to blend in perfectly with your kitchens style & colour scheme. These Taps can be fitted to all types of kitchen sinks, including Granite Worktops.